Matt Hein is a U.S. Navy Surface Warfare Officer currently studying for his Masters in Security Studies at Georgetown University. He can be found on Twitter @Matt_TB_Hein. Divergent Options’ content does not contain information of an official nature nor does the content represent the official position of any government, any organization, or any group. National Security Situation: Low intensity maritime conflict and engagement in Eastern Africa. Date Originally Written: February 11, 2018. Date Originally Published: May 21, 2018. Author and / or Article Point of View: This article addresses U.S. naval force posture options in East Africa and the implications for a resource-constrained force. Background: Demands for counter-piracy operations, countering maritime human smuggling, countering the growth of violent extremism in Sub-Saharan African countries, and partner nation capacity building require the constant presence of U.S. naval forces in East African littoral zones. Friction arises when high-end combatants such as aircraft carriers and destroyers divert from their East African littoral mission to the nearby Persian Gulf and Mediterranean Sea to conduct other missions. Significance: U.S. naval presence in East Africa has improved maritime security and facilitated operations on land. Coalition efforts reduced piracy incidents from 237 attempted hijackings in 2011 to only three such attempts in 2017. Joint exercises, such as Cutlass Express, have developed partner nation maritime law enforcement capacity. Intelligence gathering from sea based platforms has enabled multiple U.S. military missions ashore. Increasing demand for high-end combatants in the Persian Gulf and Mediterranean Sea leaves the East African littoral mission vulnerable to having its gains reversed and questions the utility of those ships for low intensity missions. Enhanced naval presence from the People’s Republic of China (PRC) in the region, most notably the establishment of a port facility in Djibouti, further complicates force posture decision-making. Despite the incredible gains realized for maritime security in the region, there is a demand signal for deliberate planning to match appropriate naval assets with a growing range of regional needs. Option #1: The U.S. maintains its current naval force posture for the East Africa littoral mission. Risk: Current naval force posture rotates multiple Expeditionary Strike Groups and Carrier Strike Groups through the region annually, in addition to several independent deployers dispatched for counter-piracy operations. The opportunity cost of these deployments is enormous. These ships were designed for much more complex operating environments and can often be better utilized in those environments. Using multi-billion dollar warships for low intensity engagement not only limits the utility of these ship’s advanced combat systems but also inflates the likelihood they will be diverted to other specialized missions such as ballistic missile defense or integrated air defense. Gain: The existing force posture is responsible for enhanced maritime security already realized in the region. While expanding threats may challenge the ability to maintain these gains, this hasn’t happened to the extent that a dramatic rise in piracy or a drop in partner nation capacity has occurred. Further, the historical integration and corporate knowledge of U.S. ships deploying to the theater gives them an inherent advantage for conducting these types of operations. Option #2: The U.S. forward deploys two Littoral Combat Ships (LCS) to Djibouti Naval Base. Risk: Forward-deploying the LCS is expensive and would require a large logistics and maintenance footprint in Djibouti. Maintenance issues have plagued the LCS and will be exacerbated by a remote maintenance infrastructure with little experience. Maintenance issues are compounded by difficult crew rotation schedules that have already hampered a similar forward deployment of LCS to Singapore. The probability that forward deployed LCS will provide a persistent capability for the East Africa littoral mission is limited significantly by these LCS-wide problems. Gain: The LCS surface warfare mission package is uniquely suited for the East Africa littoral mission. The LCS uses a combination of high speeds and shallow draft to operate aviation facilities, dedicated boarding teams, and anti-surface capabilities in littoral environments. These attributes make the LCS ideal for intelligence gathering, capacity building, and counter-piracy missions. Additionally, the use of LCS allows the multi-billion dollar warships currently conducting these missions to operate in more contested environments and across a broader swath of missions in the Red Sea and Persian Gulf. Option #2 also builds on the surge of LCS in similar mission sets from counter-drug operations in the Caribbean to fisheries patrols and bilateral engagements in Southeast Asia. Option #3: The U.S. decreases its naval presence in East Africa. Risk: The construction of the PRC naval base in Djibouti means the gap in activity from the U.S. Navy would likely be filled, at least in part, by a PRC presence. The construction of a military docking facility, capable of berthing most People’s Liberation Army (Navy) ships, means previous PRC task forces deployed to the region could become a permanent fixture. As foreign investment pours into East Africa, a reduced naval presence could cause countries such as Tanzania, Kenya, and Somalia to turn elsewhere for maritime security support of their burgeoning economies. Option #3 could further challenge the efficacy of counter-extremist efforts on land that require logistical and intelligence support from offshore assets. Gain: Decreasing U.S. naval presence does not mean disavowing the East Africa littoral mission entirely. A P-3 squadron forward-deployed to Djibouti naval base combined with transiting strike groups still leaves intermittent capacity in the region to continue to support the East Africa littoral mission. Option #3 also eliminates the requirements of keeping ships off the coast of Djibouti. Not having to keep ships off Djibouti would allow a refocus towards heightened Iranian tensions, threats from Houthi rebels in Yemen, or even relocation to the Pacific fleet operating area in support of growing requirements. Other Comments: The Surface Navy Strategic Readiness Review, released in December 2017, stated that increasing readiness “require(s) a variety of naval assets and capabilities tailored to best achieve desired results.” Shifting from a “demand” to “supply” model for naval surface forces means capabilities must be optimized against the mission with which they are tasked. The options presented in this paper are three examples, of many, for shifting to a supply-based model for naval assets without sacrificing the East Africa littoral mission. United States Navy Chief of Information. Fact File: Littoral Combat Ships – Surface Warfare Mission Package. Retrieved February 10, 2018 from http://www.navy.mil/navydata/fact_display.asp?cid=2100&tid=437&ct=2. Lieutenant Colonel Christopher Curtin is a Field Artillery Officer with over 20 years of experience in the United States Marine Corps, including at the Pacific Division of Plans, Policies, and Operations at Headquarters Marine Corps. Annie Kowalewski is a Chinese military and defense researcher at Georgetown’s Center for Security Studies. Divergent Options’ content does not contain information of an official nature nor does the content represent the official position of any government, any organization, or any group. National Security Situation: Chinese militarization of artificial islands in disputed waters in the East and South China Seas. Date Originally Written: March 1, 2018. Date Originally Published: March 12, 2018. Author and / or Article Point of View: The authors are a military member and a defense researcher. The authors believe that Chinese actions in the East and South China Sea are destabilizing and threaten to shift the balance of power in the Asia-Pacific region. Background: China is showing no evidence of slowing down its territorial aspirations within the “nine dash line” and continues to emplace anti-aircraft guns and close-in weapons systems on its man-made islands in the East and South China Seas. China also uses its maritime militia to bully neighboring countries and extend Chinese fishing rights and territorial reach. The United States has thus far been unsuccessful in responding to or deterring these Chinese challenges to the status quo. Significance: Chinese actions represent a “salami-slicing” strategy aimed at slowly changing regional norms and asserting Chinese dominance in the East and South China Seas. This strategy allows China to exert influence and establish itself as a regional hegemon, thereby threatening the balance of power and U.S. primacy in the region. Chinese militarization and power projection also threaten the United States’ allies and security partners, some of which the United States is bound by treaty to offer security assistance. Option #1: The United States invests in capabilities-based deterrents that can deter specific Chinese actions. Risk: China has objected to the capabilities that provide this type of deterrent, such as the new F-35B fighter operating on naval vessels in the pacific. China may use the deployment of these capabilities as an excuse to finally militarize islands such as the Scarborough Shoal. Gain: A capabilities-based deterrent will make Chinese islands in the East and South China Seas vulnerable and, ultimately, a military liability rather than an advantage. New technologies such as the F-35B allow the United States more flexibility when operating in the Pacific, by providing U.S. and allied commanders with a 5th generation aircraft that is normally only employed off traditional U.S. aircraft carriers. Option #1 would not only help offset the eventual Chinese People’s Liberation Army Navy (PLA(N)) numerical superiority in the Pacific, but also demonstrate the U.S. commitment to modernizing a capability that has been historically suited for military operations against static, geographically isolated island targets. This option may help shift China’s risk calculus when deciding how aggressively it hopes to militarize the islands, once it realizes that increased island investment actually increases vulnerability instead of capability. Option #2: The United States invests in strategic deterrence by helping boost allies’ and security partners’ amphibious capabilities. Risk: Boosting allies’ and security partner amphibious capabilities runs the risk of antagonizing China. China has already strongly condemned proposed amendments to the Japanese constitution calling for a larger defense budget. China has been known to use economic and political coercion to pressure regional countries to adopt, or abandon, policies. Gain: Boosting allies’ and security partner amphibious capabilities will be key to creating a sea force able to challenge an increasingly capable PLA(N). This option would also allow allies and security partners to better deal with Chinese salami-slicing activities by providing them with the capability to deter or engage the Chinese on their own, rather than rely on U.S. deployments and assistance. Bader, Jeffrey. (2014). The U.S. and China’s Nine-Dash Line: Ending the Ambiguity. Retrieved from https://www.brookings.edu/opinions/the-u-s-and-chinas-nine-dash-line-ending-the-ambiguity/. Lockheed Martin. (2018). The F-26B Lightning II. Retrieved from https://www.f35.com/about/variants/f35b. Huang, Kristin. (2017, October 23). China to keep wary watch on Abe’s push to change pacifist constitution. Retreived from http://www.scmp.com/news/china/diplomacy-defence/article/2116635/china-keep-wary-watch-abes-push-change-pacifist. Erickson, Andrew. (2016, September 21). Seapower and Projection Forces in the South China Sea. Retreived from https://armedservices.house.gov/legislation/hearings/seapower-and-projection-forces-south-china-sea. Lieutenant(N) Fred Genest is a Naval Warfare Officer in the Royal Canadian Navy and has deployed operationally in HMCS Charlottetown and HMCS Fredericton. He is currently completing a Master of Public Administration degree while on staff at the Royal Military College of Canada. He tweets at @RMCNavyGuy. This article does not represent the policies or opinions of the Government of Canada or the Royal Canadian Navy. Divergent Options’ content does not contain information of an official nature nor does the content represent the official position of any government, any organization, or any group. National Security Situation: The Royal Canadian Navy (RCN) is in the process of recapitalizing its fleet but has not had a significant debate on its strategic goals in decades. Date Originally Written: December 19, 2017. Author and / or Article Point of View: This article is written from the point of view of the senior Canadian political and military leadership. Background: Successive governments have asserted that Canada must deploy warships overseas to help maintain international security and stability. Despite the RCN’s fleet recapitalization, there has been no debate about the best way to employ its forces. Current RCN employment is based on history, Cold War thinking, and national myths. Canada sees itself as “punching above its weight” since the Second World War. In that war, Canada gave control of its forces to the British and American leaders, with disastrous results at home such as the closure of the St. Lawrence seaway. During the Cold War, Canadian warships deployed with North Atlantic Treaty Organization (NATO) Standing Naval Forces; this continues in the 21st century. In its role as a “junior partner” since World War 2, Canada has followed the British and American lead in security and defence, subordinating its national interest to the alliance’s goals. Significance: As a sovereign middle power, Canada can set its own strategic priorities. A commitment-capability gap—insufficient units to accomplish designated tasks—has been identified in the RCN since at least the 1964 White Paper on Defence. The Canadian Department of National Defence (DND) saw this as normal at the end of the Cold War. A 2013 report stated that Canada would have difficulty meeting its readiness and force posture requirements until well into the 2020s. Adjusting the current strategy could help reduce the gap. Option #1: Maintain the status quo with a medium global force projection navy, constant rotations with NATO, and a worldwide presence. Risk: With Option #1 the commitment-capability gap could grow. The Government of Canada (GoC) intends to be prepared to participate in concurrent operations across multiple theatres. However, readiness goals will not be met until the late 2020s, perhaps even until the Canadian Surface Combatant (CSC) project is completed in the 2040s. Manning is, and will remain, a problem in certain areas like anti-submarine warfare and engineering. By continuing the historical pattern of letting alliance leaders determine its strategy, Canada is abdicating its responsibility to protect its national interests. Gain: There is prestige in being one of the few navies that routinely deploys around the world, and RCN ships are recognized by its allies as the “go-to” during operations. Option #1 improves Canada’s standing in the world, especially amongst peer allied nations, and allows Canada to exercise some leadership in international affairs. This increased leadership role allows Canada to further its interests through diplomacy. Furthermore, there is a morale-boosting effect in having regular overseas deployments; sailors, like soldiers, are keen to acquire “bits of coloured ribbon.” In the RCN, this is achieved through overseas operations. Regular overseas deployments or lack thereof may therefore be a factor in recruitment and retention. There is also an internal political gain: by highlighting successes abroad, the GoC can raise awareness of the RCN and increase popular support for its foreign policy. This is beneficial to the RCN, as popular support can translate into political pressure to obtain the tools required to achieve its institutional goals. Option #2: Downgrade the RCN to a medium regional power projection navy. Cease overseas deployments except for specific, time-limited United Nations or NATO missions critical for peace or security. Risk: No longer routinely deploying internationally would be seen as a loss of prestige, and could lead to a loss of informal diplomatic leadership. Local operations are often unpopular with sailors, and removing the opportunity to go overseas could lead to a loss of morale, with obvious effects on retention. Also, one of the main ways Canadian sailors are trained for full-spectrum operations is through workups leading to an overseas deployment, and through multinational exercises while deployed. Removing those training opportunities could reduce personnel readiness. Option #2 could also harm the justifications for future, or even current, procurement projects. Gain: RCN commitments would be more in line with capabilities. The GoC’s commitments will continue to be difficult for the RCN to meet in the next decade; reducing the level of commitment would allow the RCN and its allies to plan based on actual capabilities. Carefully selecting operations as part of Option #2 would also let Canada set its own priorities for its warships. In recent years, Canadian ships have taken part in operations that were only vaguely related to Canadian interests, such as European Union migrant activities. Not committing to those operations would free up the RCN to take part in more nationally-relevant operations. With the CSC, Canada will maintain a full-spectrum capability, and being a medium regional power projection navy does not preclude overseas deployments. Option #2 would bring Canada in line its European NATO peers, who keep their warships near their own waters, to protect their national interests. Another challenge for the RCN is its maintenance budget, which is insufficient to meet all requirements. One of the effects is that ships have to swap parts to achieve material readiness and some repairs are left undone due to a lack of parts or available personnel. Deployments, especially repeated overseas deployments by the same units, are hard on equipment. Reducing the number of overseas deployments under Option #2 would reduce premature failures and maintenance costs. Other Comments: Option #2 may not be feasible in the current political climate, but this does not preclude vigorous examination. Department of National Defence. (2017a). Leadmark 2050: Canada in a New Maritime World. Ottawa. Retrieved from http://navy-marine.forces.gc.ca/assets/NAVY_Internet/docs/en/analysis/rcn-leadmark-2050_march-2017.pdf — Leadmark 2050 is a document produced by the Royal Canadian Navy to set its long-term vision beyond its five-year strategic plan. It is a follow-up to the 2001 publication, Leadmark 2020. Department of National Defence. (1964). White Paper on Defence. Ottawa. Retrieved from http://publications.gc.ca/collections/collection_2012/dn-nd/D3-6-1964-eng.pdf — While it did not call it as such, the concern was evident. In Commonwealth countries, White Papers are used to provide information about government policy to parliamentarians and the public. In Canada, there have been three White Papers on Defence since World War 2: 1964, 1971, and 1994. Major defence policy documents were also released in 1984, 1992 and 2017. 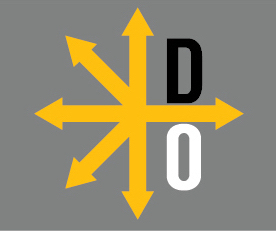 Department of National Defence – Chief Review Services. (2013). Evaluation of Naval Forces. Ottawa. Retrieved from http://publications.gc.ca/collections/collection_2015/mdn-dnd/D58-33-2013-eng.pdf — This document evaluated the RCN’s performance from 2008 to 2013, particularly the ability to generate and employ naval forces as directed by the GoC. Thomas is a junior sailor in the United States Navy. He can be found on Twitter @CTNope. The views expressed in this article are the author’s alone and do not represent the official position of the United States Navy, the Department of Defense, or the United States Government. Divergent Options’ content does not contain information of an official nature nor does the content represent the official position of any government, any organization, or any group. National Security Situation: Worrying trends in military shipbuilding by the People’s Republic of China (PRC). Date Originally Written: April, 29, 2017. Date Originally Published: June, 15, 2017. Author and / or Article Point of View: The author believes that the current balance of naval forces, both qualitatively and quantitatively, between the U.S. and the PRC, must be examined or the U.S. will face severe policy consequences. The article is written from the point of view of U.S. Navy (USN) leadership as they assess the growth of the People’s Liberation Army’s (Navy) (PLAN). This article focuses on options that U.S. policymakers have in response to the trends in the PRC’s military shipbuilding, not the trends themselves. Background: Since the mid-2000’s the PRC’s economic situation has vastly improved, most evident as its GDP has grown from 1.2 billion to 11 billion over fifteen years, a growth of over 900 percent. This growth has enabled the PRC to embark on a remarkable shipbuilding program, achieving vast strides in training, technology, capabilities, and actual hull count of modern vessels. This growth is creating security challenges in the Pacific as well as igniting tensions between the U.S. and the PRC, as the disparity between the USN and the PLAN shrinks at an alarming rate. These developments have been closely watched by both the U.S. and her Partners, challenging U.S. policymakers to address this new, rising maritime presence while maintaining security in the region. Significance: In the U.S. there is a growing bipartisan voice concerned about an assertive PRC, as halfway across the globe Asian nations wearily observe the PRC’s growth. A more powerful PLAN allows greater flexibility for PRC officials to exert influence. These impressive shipbuilding trends will embolden the PRC, as now they can brush aside actors that held credible deterrence when competing against an unmodernized PLAN. If current trends in the capacity of PRC shipbuilding and technological advancement continue, the PLAN will be able to challenge the efforts of the USN and U.S. Partners to continue to keep sea lanes of communication open in the space around the disputed ‘nine-dash-line’ as well as other parts of the Pacific. It is plausible that in the long-term the PLAN will emerge as a near-peer to the USN in the Pacific; as U.S. has to provide for its own security, the security of others, and the security of the Global Commons, while the PRC only has to provide security for itself and its interests. Option #1: Platform centric approach. Review the current force structure of the USN to decide how large the force needs to be to satisfy U.S. policy goals and modify the fleet accordingly. Risk: Focusing too heavily on platforms could leave the USN without the tools needed to be on the technological forefront during the next conflict. Also, a focus on building legacy systems could take resources away from initiatives that require them. Gain: An increased number of platforms would allow U.S. policymakers more flexibility in how they decide to most effectively use the USN. Additionally, more hulls would not only contribute to the deterrence generated by the USN, but also improve the readiness of the USN as more ships can remain in port and undergo maintenance, while other ships conduct missions. Option #1 maximizes readiness for the next conflict. Option #2: Modernization approach. Focus on improving today’s platforms while additionally investing in the future with disruptive technologies, but do not undertake an extensive build up of hulls. In this option the fleet would still expand in accordance with current programs, to include the Littoral Combat Ship (LCS), Arleigh Burke Class Destroyers, and Virginia Class Submarines, but these production runs would be cut short to save funds. Risk: In the mid-term the USN might not have the hulls necessary to address global security concerns. However, having fewer hulls does not mean that the USN can’t fight and win, instead, it will require that the USN’s leaders adapt. Gain: Investing in the future could yield powerful technologies that change the calculus on how the U.S. employs military forces. Technologies like the railgun or unmanned systems change the way the USN fights by improving critical traits such as firepower and survivability. Future technologies could create even greater offsets than previously discovered technologies, with the advent of artificial intelligence on the horizon, future applications appear limitless. Option #2 increases the chance that the U.S. will continue to operate at the cutting edge of technology. Option #3: Balanced approach. Modify the USN’s size, but not as broadly as the first option, instead providing additional funding towards Research and Development (R&D). Risk: This option could prove to be too little, too late. The USN would benefit from the handful of additional hulls, but PRC shipbuilding pace might negate the benefit of the extra vessels. The PRC could possibly out-build the USN by adding two new hulls for every one the USN commissions. Likewise, the USN might need significantly more resources for R&D efforts. Gain: The USN would receive additional Arleigh Burke Class Destroyers, LCS Frigates, and Virginia Class Submarines. In addition, this option would free up more funds to put into R&D to keep the USN ahead of the PLAN in terms of technology. Overall, this would keep the USN on a balanced footing to be “ready to fight tonight” in the short to mid-term, yet still on a decent footing in the long-term, from R&D efforts. Option #3 could turn out to be the best of both worlds, combining the increased readiness through hulls as well as continued technological innovation. Other Comments: The PLAN still has many issues, ranging from naval subsystems, to C4I, to training and manning, but they are correcting their deficiencies at an impressive rate. As such, there is a cost for the U.S. in terms of both omission and commission. The World Bank Statistics. Retrieved from: http://data.worldbank.org/indicator/NY.GDP.MKTP.CD? Various. “Hotspots Along China’s Maritime Periphery”. Blake Herzinger served in the United States Navy in Singapore, Japan, Italy, and exotic Jacksonville, Florida. He is presently employed by Booz Allen Hamilton and assists the U.S. Pacific Fleet in implementation and execution of the Southeast Asia Maritime Security Initiative. His writing has appeared in Proceedings and The Diplomat. He can be found on Twitter @BDHerzinger. Divergent Options’ content does not contain information of any official nature nor does the content represent the official position of any government, any organization, or any group. National Security Situation: People’s Republic of China (PRC) Maritime Militias operating in the East China Sea (ECS) and South China Sea (SCS). Date Originally Written: February 21, 2017. Date Originally Published: April 6, 2017. Author and / or Article Point of View: Author believes in freedom of navigation and maintenance of good order at sea in accordance with customary and written law of the sea. The article is written from the point of view of U.S. sea services leadership toward countering PRC maritime irregulars at sea. Background: The PRC employs irregular militia forces at sea alongside naval and maritime law enforcement units. By deploying these so-called “blue hulls” manned by un-uniformed (or selectively-uniformed) militiamen, the PRC presses its maritime claims and confronts foreign sea services within a “gray zone.” In keeping with national traditions of People’s War, PRC Maritime Militias seek advantage through asymmetry, while opposing competitors whose rules of engagement are based on international law. The PRC Maritime Militia participated in several of the most provocative PRC acts in the SCS, including the 2009 USNS Impeccable incident, the seizure of Scarborough Shoal in 2012, and the 2014 China National Offshore Oil Corporation (CNOOC) 981 confrontation with Vietnam that also involved the smaller Vietnam Maritime Militia. Significance: On its surface, employing irregular forces may be an attractive option for a state facing a more powerful opponent, or for a state interested in “a less provocative means of promoting its strategic goal of regional hegemony” such as the PRC. However, incorporating these irregular forces into a hybrid national strategy has deleterious impacts on the structure of the international legal system, particularly in maritime law and the laws of naval warfare. PRC Maritime Militias’ use of “civilian” fishing vessels to support, and conduct, military operations distorts this legal structure by obfuscating the force’s identity and flaunting established international legal boundaries. Option #1: U.S. political and military leaders engage the PRC/People’s Liberation Army (Navy) (PLAN) directly and publicly on the existence and operations of the Maritime Militia, insist upon adherence to internationally-accepted legal identification of vessels and personnel, and convey what costs will be imposed on the PRC/PLAN if they do not change their behavior. As an example, the Commander U.S. Pacific Fleet, Admiral Scott Swift, has voiced his frustration with PLAN unwillingness to acknowledge the existence of the PRC Maritime Militia and its relationships with state law enforcement and military forces. In the event that the PRC declines to engage in dialogue regarding the Maritime Militia, discontinuing PLAN participation in the Rim of the Pacific exercise is the suggested response. Risk: Without clearly attaching costs to continued use of militia forces in operations against the USN, Option #1 is unlikely to affect PRC behavior. Conveying possible imposed costs carries risk of further-degrading relations between the U.S. and PRC, but it is precisely PRC perceptions of their behavior as costless that encourages the behaviors exhibited by the PRC’s Maritime Militia. Gain: Option #1 is an excellent opportunity for the U.S. to underline its commitment to good order at sea and a rules-based maritime order. By encouraging the PRC to acknowledge the Maritime Militia and its associated command structure, the U.S. can cut through the ambiguity and civilian camouflage under which the Maritime Militia has operated unchallenged. In the event that the PRC declines to engage, conveying the possible imposition of costs may serve as a warning that behavior negatively affecting good order at sea will not be tolerated indefinitely. Risk: Close to a score of abandoned information portals and sharing infrastructures have been tried and failed in Southeast Asia, a cautionary tale regarding the risk of wasted resources. Building upon over 20 years of JIATF-W’s experience should help to mitigate this risk, so long as an MDA solution is developed cooperatively and not simply imposed upon ASEAN. Gain: By providing focused and long-term support to an ASEAN-led solution, the U.S. can make progress in an area where MDA has been plagued by reticence, and occasionally inability to share vital information across interagency and national borders. Shared awareness and cooperation at sea will combat the ability of the PRC Maritime Militia to operate uncontested in the SCS by enabling more effective law enforcement and naval response by affected countries. Working through existing regional institutions such as Singapore’s Information Fusion Centre would add increased value to Option #2. Option #3: Utilize U.S. Coast Guard (USCG) to provide law enforcement and maritime safety training support to states bordering the ECS/SCS interested in creating their own maritime militias. Risk: Expanding a concept that is damaging the rules-based order may increase the rate of disintegration of good order at sea. Any observable indication that the U.S. is encouraging the creation of irregular maritime forces would likely be viewed negatively by the PRC. Option #3 carries risk of engendering diplomatic or military conflict between the U.S. and PRC, or between the PRC and U.S. partners. Gain: Option #3 might provide some level of parity for states facing PRC militia vessels. Vietnam has already made the decision to pursue development of a maritime militia and others may follow in hopes of countering the PRC’s irregular capability. USCG involvement in the organizational development and training of militias might provide some limited opportunities to shape their behavior and encourage responsible employment of militia forces. Other Comments: Encouragement for the expansion of the Code for Unplanned Encounters at Sea (CUES) is not addressed. The CUES was adopted during the 2014 Western Pacific Naval Symposium (WPNS) and provides a basis for communications, maritime safety, and maneuvering guidelines for use by ships and aircraft in unplanned encounters at sea. CUES is not a legally binding document, but an agreed-upon protocol for managing potentially escalatory encounters in the Pacific. This author believes coast guards adjoining the contested areas of the ECS and SCS will continue to resist CUES adoption in order to maintain operational latitude. Given the reticence of coast guards to accede to the agreement, drawing PRC Maritime Militia into CUES seems an unrealistic possibility. The Struggle for Law in the South China Sea, Hearings on Seapower and Projection Forces in the South China Sea Before the Subcommittee on Seapower and Projection Forces, 114th Cong., 1 (2016) (Statement of James Kraska, U.S. Naval War College). “The Black Swan” is an officer and a strategist in the U.S. Army. He has deployed to Iraq and Afghanistan. He has been a company commander, and served at the battalion, brigade, division, and Army Command (ACOM) level staffs. The opinions expressed are his alone, and do not reflect the official position of the U.S. Army, the Department of Defense, or the U.S. Government. Divergent Options’ content does not contain information of an official nature nor does the content represent the official position of any government, organization, or group. National Security Situation: Japan is one of the most stalwart allies of the United States (U.S.) in Asia. The U.S. guarantees Japanese security and sovereignty. Japan serves as one of the principal rivals of the People’s Republic of China (PRC) in Asia. Japan is an island, however, and depends upon seaborne trade routes, especially those that transit through Southeast Asia. PRC claims of sovereignty over virtually the entire South China Sea (SCS) pose a direct threat to Japanese security. Date Originally Written: January 29, 2017. Date Originally Published: March 30, 2017. Author and / or Article Point of View: This article is written from the point of view of Japan towards PRC claims in the SCS. Background: For the greater part of recorded history, Japan has been a rival of the PRC. All Japanese attempts to dominate the Asian mainland however, have ended in failure. The defeat of Japan during WWII decisively put an end to Japanese Imperial ambitions. Since the end of the Allied post-WWII occupation in 1952, Japan has been one of the most stalwart allies of the U.S. in Asia, and a bastion of western values. Japan is an economic powerhouse, a vibrant democracy, and possesses an extremely formidable military. For those reasons, as well as historical animosity, Japan is one of, if not the main rival, of the PRC in Asia. The lifeblood of Japan’s prosperity flows through the Straits of Malacca, and then northeast through the SCS en route to Japan. The PRC has laid claim to the SCS as sovereign territory throughout modern history, as well as Taiwan, and Japan’s own Senkaku Islands. Events in the 21st century have reached a culminating point. While Japan and the U.S. have guaranteed the inviolability of Japan’s claims to the Senkaku Islands, the PRC has gained de facto sovereignty over the SCS. The PRC has done so by the construction, improvement, and militarization of artificial islands. The PRC has vowed to defend its claims, and no member of the international community has chosen to challenge them, beyond legal arbitration through the United Nations. Recent PRC assertiveness has its roots in an impressive regimen of military modernization and diplomatic initiatives colloquially called the “rise of China”. Significance: The PRC control of virtually the entire SCS poses a direct threat to Japan. The PRC could coerce or compel Japan in any number of ways by cutting or hindering maritime traffic to Japan as it transits out of the Straits of Malacca. In the event of war, Japan would be at a distinct disadvantage for the aforementioned reasons, to say nothing of its close proximity to the PRC. Option #1: Japan diverts inbound maritime traffic immediately until such a time as the issue of the SCS reaches an acceptable resolution. Maritime traffic exiting the Straits of Malacca/Singapore would transit through the Java to Celebes to Philippine Sea route. Simultaneously, Japan invests in improving Indonesian and Philippine port facilities/infrastructure along the proposed route. Risk: Cost and time. The current route through the SCS is the shortest route and therefore the cheapest. Option #1 entails a significant increase in the cost of shipping. Furthermore, it will be a significant diplomatic effort for Japan to induce the Indonesian government to allow transit on this scale through its territorial waters. Option #1 will require further diplomatic and economic effort to induce the Indonesian and Philippine governments to allow investment in the type of upgrades to their facilities that would be necessary to sustain such traffic. Also, this option may embolden the PRC and result in a loss of face for Japan, as it will be perceived that the PRC is driving Japan out of the SCS. Gain: Safety for shipping bound for Japan. This option completely skirts all PRC territorial claims. Option #1 entails the cultivation of alliances with several Southeast Asian nations. Furthermore, Option #1 establishes a buffer zone by placing multiple nations, and miles of blue water ocean, between the PRC’s navy and Japanese shipping. In the event of war between the PRC and Japan, this route would be most difficult to interdict. Option #2: Japan immediately begins regular freedom of navigation patrols with its maritime self-defense force (M-SDF) through the SCS, with the option to provide armed escorts to critical maritime traffic. Simultaneously, Japan seeks military cooperation with SCS claimants other than the PRC (e.g. Vietnam, Indonesia, the Philippines) to protect maritime traffic. Risk: The regular deployment of M-SDF ships to the SCS would be viewed as an escalation by the PRC, and an infringement on its sovereignty. The likelihood of a stand-off at sea would be high (especially if this is a coalition of Southeast Asian nations), with the correlating risk of miscalculation in the use of force becoming casus belli. Additionally, the more M-SDF ships that are deployed away from the home islands are the more ships that are unavailable to defend the Japanese mainland. Gain: This option would establish Japan as the leader against PRC encroachment. The operational experience and partnerships gained would be invaluable. Most importantly, this option virtually guarantees U.S. support, if Japan is perceived to be burden-sharing, but especially if Japan is threatened or attacked. Practically, beginning and sustaining such patrols early on gives the PRC the flexibility to adjust to a new status quo without a loss of face. Other Comments: It has been well established here, but is a refrain of paramount importance – Japan must have access to maritime shipping to survive. Japan can rely on U.S. support, but must stand ready to safeguard its own interests. Both options presented here have cooperation and alliances with other nations as a common theme. Operationalizing that theme is the best way for Japan to weather events in the SCS. Joshua Urness is an officer in the United States Army who has served both in combat and strategic studies roles. Divergent Options’ content does not contain information of an official nature nor does the content represent the official position of any government, any organization, or any group. National Security Situation: Sovereign Rights of Economic Exclusion Zones (EEZ) in the South China Sea (SCS) and the legitimacy of the international system to enforce them. Date Originally Written: January 18, 2017. Date Originally Published: March 23, 2017. Author and / or Article Point of View: The author is an active duty officer in the U.S. Army. This article is written from the point of view of the U.S. towards the Philippines, with a desire to ensure the legitimacy of the international system. Background: The People’s Republic of China (PRC) is occupying and developing islands in the SCS based on the historical claim of its nine-dashed line. These occupations have resulted in the direct challenge of the Philippine EEZ, an internationally recognized right of sovereignty, which fully includes the disputed Spratly Islands (Mischief Reef). In 2016, the United Nations Convention on the Law of the Sea (UNCLOS) ruled that the Spratly Islands are technically rocks, and upheld that they are wholly within the Filipino EEZ. Therefore, the PRC is in a “state of unlawful occupation.” Countries especially impacted by the PRC’s expansion in the SCS, Malaysia, Philippines, and Vietnam, do not currently possess the military or political capability to challenge the PRC’s actions independently. Significance: The stability of security and diplomatic relations in the SCS is important because of the economic trade routes which pass through the waterway, and the potential value of natural resources in the region. The PRC’s willingness to ignore the UNCLOS ruling on the sovereignty of the Filipino EEZ is an affront to the legitimacy and credibility of the international system and the security status quo. Further unchecked aggression by the PRC could embolden other states, creating further instability in other parts of the world. The PRC’s disregard for the ruling, along with their military modernization and investment in power projection capabilities, will enable them to continue to challenge the sovereignty of EEZs throughout the first island chain. Because the international system cannot enforce its decision, and the Philippines cannot enforce its own EEZ, the credibility of both international and state authorities will be questioned. Option #1: The U.S. facilitates Filipino acquisition of low-cost defensive capabilities which will enable them to enforce their own EEZ. Examples of low-cost defensive capabilities include anti-ship missiles such as the RBS-16 which has a 100-200 nm range, coast guard equipment, and sensors. Risk: If the U.S. is not directly involved in the continued procurement and operations of the weapons given to the Filipinos, there may be an increased risk of mistakes or miscalculations being made by untrained and inexperienced Filipino weapons operators. This includes the integration of sensors and shooters into an organized system in which commanders, with the authority to decide whether or not to fire a system, have enough information and time to make a good decision. Because of the potential presence of Filipino Islamist or communist insurgents in areas likely to be chosen for weapon system employment, the security of the weapon sites must be emphasized. If weapons are stolen or obtained by such actors with malign interests, this could destabilize the regions crucial shipping lanes and local maritime economies. Additionally, inability or lack of political will on the part of the Philippines to use the capability to protect its citizens, or enforce EEZ claims, may perpetuate internal destabilization of the state. Also, given the PRC’s positioning of military forces on these islands, the provision of weapons to the Philippines risks war over sea lanes through which 25% of global trade passes. Gain: Enforcement of the EEZ would enhance the legitimacy of the international system, even if the Filipinos themselves enforced it, as opposed to an internationally sanctioned coalition. Option #1 would change the cost/risk calculation for the burgeoning PRC navy that may result in a deterrent effect. Such a capability may also enable the Filipino government to protect its fishermen and economic interests in the EEZ from harassment from the PRC’s maritime militia. This option would allow the Filipinos to demonstrate resolve, garnering regional and internal credibility, if they decisively utilize these capabilities to deter or defend. Land based anti-ship missiles are easily maneuverable and concealable, therefore adding to the survivability and resilience of a force that could be in place for a long time. Option #2: A U.S.-led coalition defense strategy composed of states surrounding the SCS that is supported by U.S. foreign military funding centered on facilitating procurement, training and information sharing. Risk: A U.S. led coalition of SCS states could polarize the region and lead to a less effective Association of Southeast Asia Nations (ASEAN). This coalition may also stimulate a regional arms race that would be expensive over time for the U.S., despite the somewhat low-cost of capabilities involved. The cost of building partner capacity could also be expensive over time where countries such as Malaysia and Indonesia, not accustomed to working with the U.S., would require courtship. Direct U.S. involvement and partnership in mission command and the integration of sensors and shooters into an organized system would require increases in the forward presence of U.S. forces. This would expose the U.S. to a higher diplomatic commitment than previously held. This higher level of presence would be necessary to mitigate the risk of mistakes in the use of the capability, as well as the security and posture of the systems. Gain: The primary advantages of a U.S.-led coalition are two-fold; it would ensure the credibility of the international system to assist in the enforcement of edicts (though the U.S. is not a signatory of UNCLOS, it does have a vested interest in the stability of the international system), and it would build a broader foundation of deterrence against further PRC expansion in the SCS. If the U.S. used a strategy similar to the one for which the RAND Corporation advocates, in their report titled Employing Land-Based Anti-Ship Missiles in the Western Pacific, coalition states could work towards building the capacity for a “far blockade” of the first island chain. This would significantly increase the PRC’s naval risk when operating within firing range of any coalition state, challenging the cost imposition and aggression paradigm, while also building capacity and knowledge that may be useful in future conflict. Similarly, the U.S. could use such partnerships to develop its own capacity and institutional knowledge in land-based maritime denial systems. National Security Situation: Singapore’s outlook on the South China Sea (SCS) dispute. Date Originally Written: January 13, 2017. Date Originally Published: March 13, 2017. Author and / or Article Point of View: Author believes in freedom of navigation and maintenance of good order at sea in accordance with the customary and written law of the sea. This article is written from the point of view of Singapore toward the SCS dispute. Background: Conflicting territorial claims, as well as opposing interpretations of entitlements provided by the United Nations Convention on the Law of the Sea (UNCLOS), have heightened tensions throughout the SCS. The maritime order protected by decades of U.S. Navy engagement is being actively challenged by the People’s Republic of China (PRC), which seeks a reorganization of the order without U.S. primacy. Singapore sits astride the most critical sea-lane in Asia leading into the partially-enclosed SCS, but is not itself a claimant state in the myriad of disputes. Singapore does have a vested interest in the peaceful and successful rise of its leading trade partner, the PRC, as well as a critical interest in continued deep engagement in the Pacific by its closest defense partner, the U.S. Although Singapore’s population is nearly 75% ethnic Chinese, the microstate has made every effort to chart an independent, pragmatic course in foreign policy. However, the PRC has recently increased pressure on Singapore to stay out of the debate on the SCS. Significance: Freedom of the seas is an “economically existential issue” for Singapore. The rules-based order underpinned by freedom of navigation, and adherence to the UNCLOS, provided decades of economic growth and success in the region, particularly for Singapore. However, the PRC’s desire to force a reorganization of the maritime order is directly resulting in erosion of accepted international maritime law and the PRC’s resultant conflicts with the U.S. and Association of Southeast Asian Nations (ASEAN) casts a shadow of doubt over the economic future of the region. For Singapore, the outcome of the SCS dispute(s) may determine its entire economic future. Option #1: Singapore continues advocacy for freedom of navigation and pursuit of friendly relations with the U.S. and the PRC, while maintaining a policy of non-alignment. Risk: An increasingly powerful PRC constricts the diplomatic space for middle powers trapped between itself and the U.S., as evidenced in the PRC’s behavior toward Singapore over the past year. The seizure of Singaporean Armed Forces Terrex vehicles in Hong Kong, recent inflammatory language published in China’s Global Times, and ominous warnings by the PRC that smaller states “need not and should not take sides among big countries,” are overt signaling to Singapore to avoid any position contrary to Chinese interests in the SCS. More plainly, Singapore will suffer consequences if it is seen to side with the U.S. Despite efforts to balance diplomatically, Singapore’s reliance on freedom of navigation will inevitably lead to confrontation regarding PRC activities in the SCS and, without a Great Power ally, Singapore may be left vulnerable to PRC pressure. Gain: In 51 years of statehood Singapore has achieved both the strongest economy in Southeast Asia and the most advanced military. In this option’s best-case scenario, Singapore would continue to reap the benefits of partnership with both the PRC and the U.S. without either side trying to force the microstate to the sidelines, or into opposition with the other. Option #2: Singapore directs support for the PRC’s positions in the SCS. Singapore could decouple itself from its defense relationship with the U.S. and effectively capitulate to Chinese demands. Risk: The opacity of the PRC’s goals for the SCS is the largest risk. If the PRC succeeds in becoming the dominant power in the area, will freedom of navigation and free trade be protected, or restricted? Unless Singapore knows the answer to this question, the existential risk posed to Singapore’s future would be catastrophic in scale. Even if the PRC encourages free trade, by aligning itself with the PRC Singapore stands to lose its reputation for independence, undermining its trusted position as an honest broker and neutral place of business. Domestic repercussions would be equally damaging. Singapore’s population may be predominantly Chinese, but it is a multiethnic society with codified policies of racial equality, with the stated ideal that citizens see themselves as Singaporean rather than identifying by their ethic group. Minority groups would almost certainly interpret a swing toward the PRC as the end of the meticulously guarded Singaporean identity standing as a bulwark against the racial discord that spurred race riots in Singapore’s infancy. As a small, predominantly Chinese state between two large Muslim states historically suspicious of its defense policies, Singapore would also be inviting new friction with Malaysia and Indonesia by appearing to swing toward the PRC. Furthermore, Singapore would likely lose high-level military training opportunities with the U.S., as well as unilateral training opportunities its forces enjoy on U.S. soil. Siding with the PRC would significantly degrade the ASEAN structure by departing from the official non-alignment of the organization. This would be a significant victory for Beijing, which has previously succeeded in driving wedges through ASEAN, but not with a country as vital to the group as Singapore. Gain: In the short-term, the PRC would likely reward Singapore for its obedience, possibly in the form of cessation of public castigation, as well as increased economic cooperation. Should the PRC’s goals include regulation and control of the SCS, Singapore might find itself a beneficiary of PRC largesse as a state that did not block its ambitions. Option #3: Singapore begins actively participating in freedom of navigation operations, either unilaterally or multilaterally. Risk: Option #3 is the most likely to elicit retaliatory measures from the PRC, where the government would almost certainly interpret the action as siding with the U.S.. The Struggle for Law in the South China Sea: Hearings before the Seapower and Projection Subcommittee on Seapower and Projection Forces, House of Representatives, 114th Cong. 11 (2016) (Testimony of James Kraska). David Mattingly serves on the board of directors for the Naval Intelligence Professionals and is also a member of the Military Writers Guild. The views reflected are his own and do not represents the United States Government of any of its agencies. Divergent Options’ content does not contain information of an official nature nor does the content represent the official position of any government, any organization, or any group. National Security Situation: The United Nations Convention for the Law of Sea (UNCLOS III) has failed to adequately define a nation’s territorial waters and to create a body which can enforce its judgements on nations involved in arbitration. Date Originally Written: February 7, 2017. Date Originally Published: March 6, 2017. Background: Over the centuries, a few countries with strong navies controlled the world’s oceans. The outcome of many conflicts fought on land often had a strong maritime element. Dutch jurist Hugo Grotius first addressed the Law of Sea in his 1609 treatise Mare Liberum in which he established the idea of the freedom of the seas. After World War II and the emergence of the United Nations, the first Convention of the Law of the Sea (UNCLOS) concluded with four treaties being signed: Convention on the Territorial Sea and the Contiguous Zone (CTS); Convention on the High Seas (CHS); Convention on Fishing and Conservation of the Living Resources of the High Seas (CFCLR); and Convention on the Continental Shelf (CCS); as well as the Optional Protocol of Signature concerning the Compulsory Settlement of Disputes (OPSD). UNCLOS II convened in Malta to discuss territorial seas and fishery limits, however, the convention ended without agreeing upon a new treaty. Today, UNCLOS III has been accepted by 167 nations and the European Union, however, although the U.S. has agreed in principle to the convention, it has not been ratified by the U.S.. In the last attempt for ratification in 2012, it failed due to the “breadth and ambiguity” of the treaty and because it was not in the “national interest of the United States” to give sovereignty to an international body. Ratification was overwhelmingly supported by the Department of Defense and the U.S. shipping industry. Traditionally, a nation’s territorial boundary was established as a three-mile belt along its coastline based on the distance that a cannon could shoot a projectile. All waters beyond the three-mile limit were considered international territory. Today, the SCS is a possible flash point for confrontation over unresolved issues of the UNCLOS III between the Peoples Republic of China (PRC), its neighboring states which have joined to form the Association of Southeast Asian Nations (ASEAN), and the U.S. The islands in the SCS remained largely uninhabited until the mid-1970s when the PRC began to lay claim to a number islands and shoals which were claimed during the reign of Emperor Yongle of the Ming Dynasty in 1405 and later claimed by the PRC in what has come to be known as the “Nine-dash line.” A map which was produced after World War II extended the PRC’s territorial waters claim deep into the SCS. France challenged the PRC’s claim in 1931 by claiming the Parcel Islands and the Spratley Islands as territory of French-Indo China which then passed to the government of Vietnam after the Franco-Indo China War ended in 1954. To understand UNCLOS III, it is important to first understand the definitions of terms such as the differences between an island and a rock. The PRC began an aggressive land reclamation program where soil was dredged from the ocean bottom to create islands, which have standing under UNCLOS III, unlike rocks and shoals which are not recognized. The islands created by the PRC can support military garrisons, home porting of both military and fishing ships, and extend the PRC’s territorial limits under the “archipelagos concept.” Within UNCLOS III, this concept furthers a nation’s territorial rights by considering the seas between the mainland and the islands claimed by a nation as a connecting, rather than separating, element. The PRC could therefore declare an emergency and suspend the “right of innocent passage” for its self-protection. Significance: Merchant shipping between Asia, the Middle East, and the Americas transverse the SCS and a PRC declaration of emergency which suspended the “right of innocent passage” would have major impact in global shipping. Option #1: The U.S. and coalition naval forces create a continuous presence in the SCS and actively challenge PRC naval activities and construction of and on islands and rocks in dispute. Risk: The PRC has openly harassed and attacked ships and aircraft of the U.S. and ASEAN member nations. The PRC has established the SCS as its home waters and had several years to construct military garrisons on the islands which it created. It is possible that the Peoples Liberation Army Navy (PLAN) has placed surface to air missiles on the larger islands. Additionally, the PLAN has aggressively modernized its ships and aircraft to include launching its first aircraft carrier. As such, Option #1 may increase the possibility of a naval confrontation between the U.S. and the PRC. Gain: A naval coalition could provide protection for fishing and merchant shipping in the SCS and shape the narrative that the international community will not idly allow the PRC to control one of the most important sea lines of commerce. Option #2 The U.S. and other nations could call for UNCLOS IV. As evidenced by recent events in the SCS, UNCLOS III left many gray areas that are open for arbitration and the decisions lack the power of enforcement. UNCLOS IV would address these gray areas and establish an enforcement framework. Risk: Major powers agreeing to a new UNCLOS could perceive that they have lost sovereign rights. The UN lacks the ability to enforce treaties unless the major powers are onboard thus the text of a new UNCLOS would have to be carefully worded. Gain: In creating an agreement that is recognized by the international community, confrontation between the U.S., the PRC, and ASEAN may be avoided. Harrison, James. July 5, 2007. Evolution of the law of the sea: developments in law -making in the wake of the 1982 Law of the Sea Convention. Second United Nations Convention on the Law of the Sea 17 March – 26 April 1960 Geneva, Switzerland. , January 8, 2017. Washington School of Law, American University. http://wcl.american.libguides.com/c.php? Senators Portman and Ayotte Sink Law of the Sea. July 16, 2012. Portman Senate Office, Washington, DC. Katchen, Martin H. 1976. The Spratly Islands and the Law of the Sea: “Dangerous ground” for Asian Peace. Presented at the Association of Asian Studies, Pacific Area Conference. June. Revised and published in the Asian Survey. Captain Robert N. Hein is a career Surface Warfare Officer in the U.S. Navy. He previously commanded the USS Gettysburg (CG-64) and the USS Nitze (DDG-94). He can be found on Twitter @the_sailor_dog. Divergent Options’ content does not contain information of an official nature nor does the content represent the official position of any government, any organization, or any group. National Security Situation: A resurgent Russia is operating extensively in the Eastern Mediterranean Sea in support of Syria, undermining U.S. efforts to protect the people of Aleppo, and U.S. efforts against the Islamic State of Iraq and Syria (ISIS). Date Originally Written: December 9, 2016. Date Originally Published: January 5, 2017. Author and / or Article Point of View: Bob Hein, a career Naval Officer, believes a resurgent Russia may be at a tipping point in its ability to continue operations on a global scale. However, Russia’s current actions continue to affect world order. His views in no way reflect those of the U.S. government, the Department of Defense, or the U.S. Navy. He also likes to play blackjack, smoke cigars, and drink scotch. Significance: If we are indeed in a return to great power competition, then a resurgent Russia operating off the coast of Syria, at best, undermines U.S. influence from the Eastern Mediterranean Sea through the Middle East, to include key maritime choke points such as the Suez Canal and the Strait of Gibraltar. At worst Russia’s activities at sea provide an opportunity for a miscalculation that could lead to war. Option #1: The U.S. Navy provides a force to serve in the Mediterranean Sea as a credible deterrent to Russian expansionism. Prior to the fall of the Berlin Wall, the U.S. maintained a credible deterrent force in the Mediterranean Sea. In addition to large numbers of ground forces based in Germany, the U.S. Navy provided a near continuous Aircraft Carrier Strike Group (CSG) presence. That presence deterred Soviet aggression through its ability to deny the Soviets their objectives, and if necessary, provide a level of punishment that would make Soviet expansionism futile. This strategy resulted in an undeniable victory for the U.S. in the Cold War. Risk: The risk is medium for Option #1 as it is primarily resource driven, both in hardware and dollars. The U.S. Navy of the Cold War consisted of almost 600 ships and one major threat. In the decades since, more threats have emerged in addition to a resurgent Russia. These emerging threats include a rising China, a nuclear North Korea, a volatile Iran, and violent extremist organizations that have swept across the Middle East and North Africa. Placing a CSG in the Mediterranean Sea would require either moving ships away from other priority missions such as strikes on ISIS or an aggressive build rate of ships which could not be supported by either current industrial capacity or the current U.S. Navy budget. There is also an increased risk of miscalculation. Russia is not the Soviet Union and memories of the Soviet fall will continue to ferment for the foreseeable future. Gain: Medium. If Option #1 is successfully undertaken, the results would be a reassurance of our allies globally, an affirmation of U.S. global power and influence, and the ability to influence events in Syria that fully support U.S. interest and intent. Option #2: Ignore the Russians. Like a high school baseball all-star seeking out prior glory, the Russians are mortgaging their future to bring back the glory days. The deployment of their carrier the Kuznetzov did little more than gain derision as it steamed trailing a thick black cloud across to the Mediterranean Sea. The Kuznetzov ultimately did little more than demonstrate the ailing Russian fleet and the two aircraft crashes did little to demonstrate Russian ability to project power from the sea. Furthermore, Russia is draining its reserve fund to fund government operations to include its military expansionism. Additionally, Russia has been bleeding economically due to Western sanctions and the low-cost of oil. Once Russia’s reserve fund runs out their options are limited. Russia can choose to either operate and stop modernization their military, or modernize their military and stop operating. History has shown that Russia will attempt to keep operating and slow its rate of modernization and this will push maintenance costs up. Russia’s last foray into deploying vessels on the cheap resulted in the loss of a ballistic missile submarine Kursk. Risk: High. If the U.S. were to ignore the Russians and miscalculate their ability to operate in an austere environment then the U.S. runs the risk of demonstrating an inability to operate on the global stage. U.S. inaction and miscalculation will solidify that Russia has the influence and ability they claim thus bolstering Russian credibility globally. The political risk is high and the risk to the people of Syria is high. Gain: High. Similar to holding on 17 in blackjack and waiting for the dealer to bust, the U.S. takes minimal risk while Russia busts. The U.S., with minimal effort and minimal cost, watches while Russia overextends itself, wipes out its cash reserves, and struggles to maintain its ability to even minimally influence its neighbors.